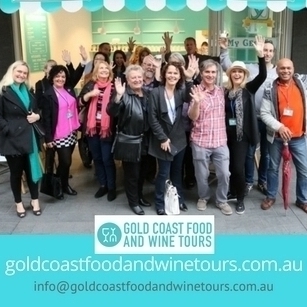 Settled by Europeans in the 1840s, Currumbin Valley, with its rich, fertile soil has long been associated with food production. Its original use for logging and grazing was soon joined by the establishment of banana plantations, sugar crops and dairy farms. When the Nerang to Tweed railway line was opened in 1903 with a station in the valley’s entrance, industries and population were boosted by greater access to the valley. Mt Tomewin, straddling two states, was to be the foundation of Australia’s banana industry. Established in 1915, pioneer Arthur Freeman’s Currumbin Valley property became the largest commercial banana farm in Australia. Four generations of family later, Freeman’s Organic Farm is open to the public, part of a growing organic farming community in the region. 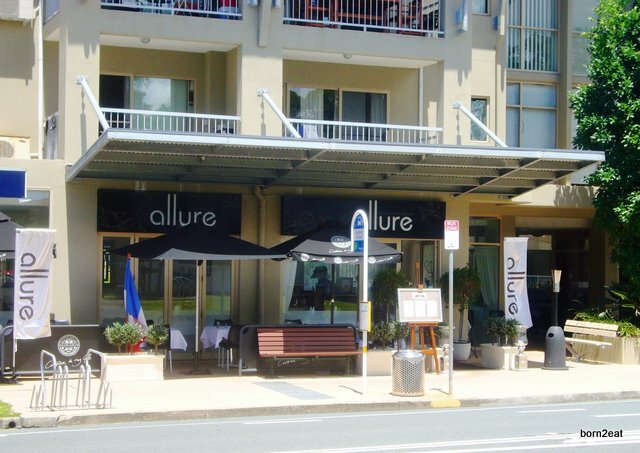 Around the mouth of the valley, several well-known establishments provide finer dining: the highly regarded Allure on Currumbin, award-winning Currumbin RSL and The Boatshed beside Currumbin Creek. 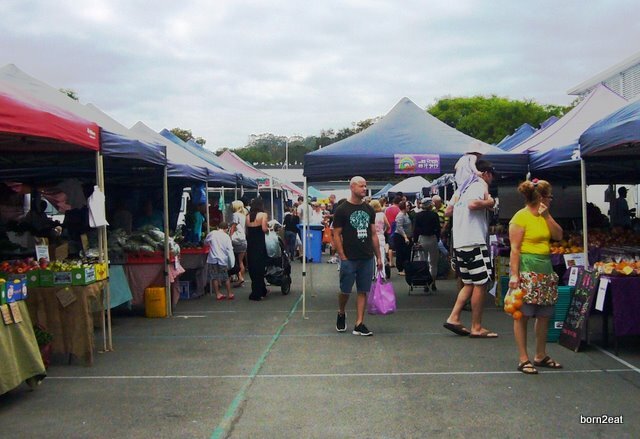 Several markets are held in the area, Your Local Market on Saturdays at PBC High, Currumbin Community Markets on Thursday mornings opposite Currumbin RSL, and The Green Marquee every second Saturday afternoon monthly at Ground Currumbin in Village Way. Freeman’s may have been one of the first food producers in the valley, but today there are many food producers and cafés, casual eateries and communal meeting places. We trail our way up the valley, stopping to talk, sip and eat as we go. 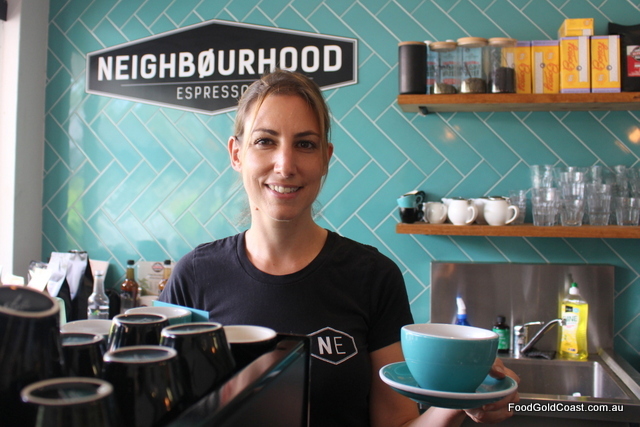 Neighbourhood Espresso is the first to give us a warm ‘Welcome to the Neighbourhood’. Open from 5.30am for cater for tradies and beach-walkers, as we sit, there’s a steady stream of coffees to go and meals to eat in, plates of fresh, luscious food exiting the kitchen, accompanied by friendly banter and laughter. 115 years ago, when locals caught the train opposite the café’s present site, they could not have dreamed of food and coffee quite like Cleo serves! 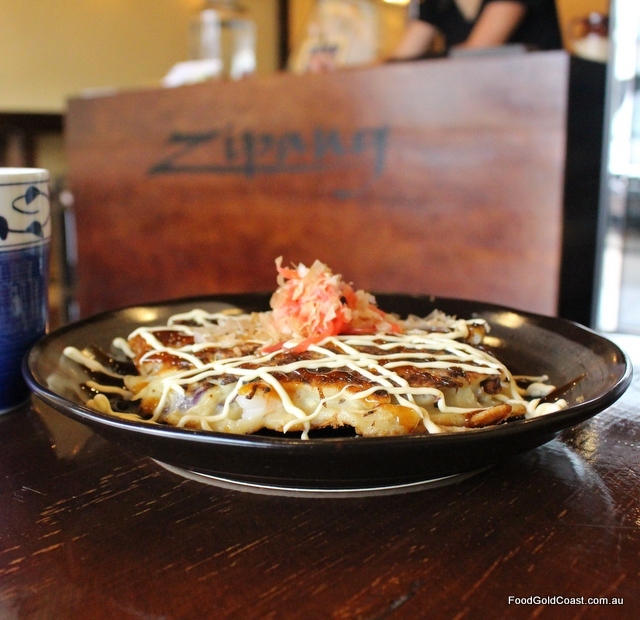 Open for both weekday lunches and dinner, Japanese eatery Zipang is everything we love about local restaurants: market fresh seafood, tapas plates to share, BYO wine (plus licensed), and all in a casual venue. Recently expanded due to it popularity, the food and casual vibe here never fail to disappoint. 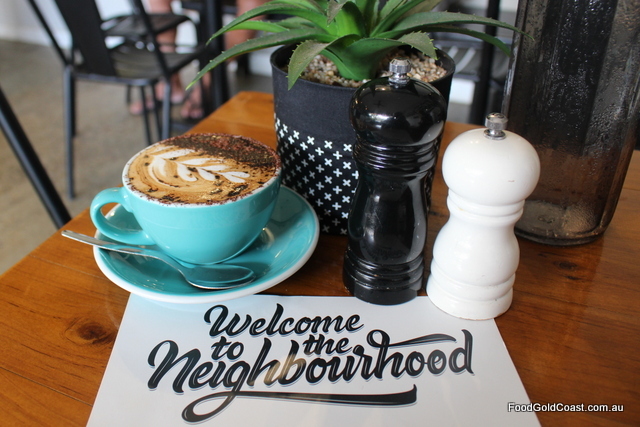 If great Blackboard coffee and a cool collaborative space with free wi-fi isn’t reason enough to visit Refinery Coffee, then surely their food is. 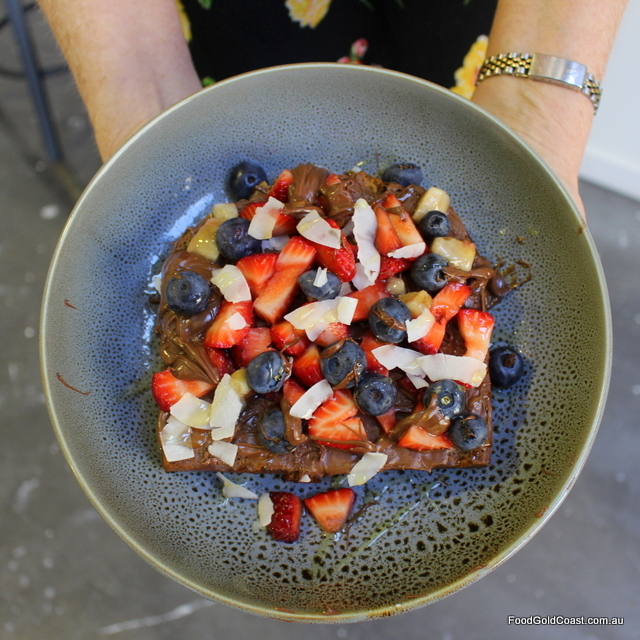 Their açai bowls and stacked banana bread topped with Nutella, berries and coconut flakes taste are just a couple of their tasty options! Owners Gabrielle and Brendan have exciting plans for the space, including upgrades to the kitchen and a liquor licence coming soon. You can hire the converted warehouse space for catered events including engagement parties, product launches, range releases, birthdays, food trucks, live music and all sorts of celebrations. Next along the trail are three bakeries. At the first, Panya Artisan Bakery, Ricky and his team bake some of the best sourdough breads on the coast. While most of Panya’s trade is wholesale to some of our hottest cafes and restaurants, you can buy several varieties of Panya’s bread from the factory, a bargain at around $6 per loaf. Around the side of the building is Nobee’s Viennoiserie Lab, where Nobuki sells his fine baked goods. From his signature Danish pastries to croissants and donuts, Nobee’s delectable pastries are highly sought after, sold wholesale to cafés and espresso bars and retail to local customers for just a few dollars per piece. Not to be missed! While in the neighbourhood, pop in next door to the uber-cool Portside Coffee, where Jeremy will brew you up a cup of Sensory Lab coffee. 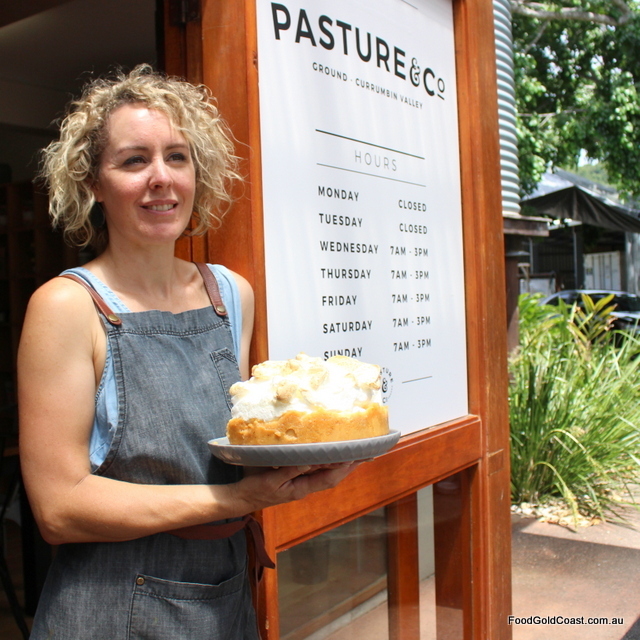 Fuel Bakehouse, just one door along, bakes completely different goods: pies filled with premium meat, fat sausage rolls, donuts and cakes, such as Mum’s passionfruit slice and a mean vanilla slice. We can understand why! 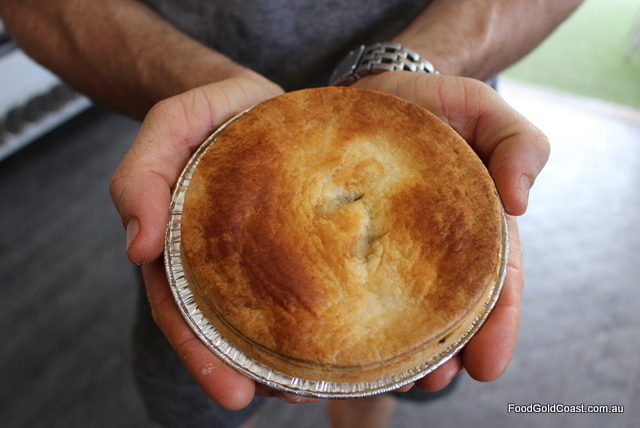 These are some of the best pies we’ve tasted, the meat slow-cooked for seven hours, then pulled, and cooked again in a deep-base pie to make one of the best pies on the coast. 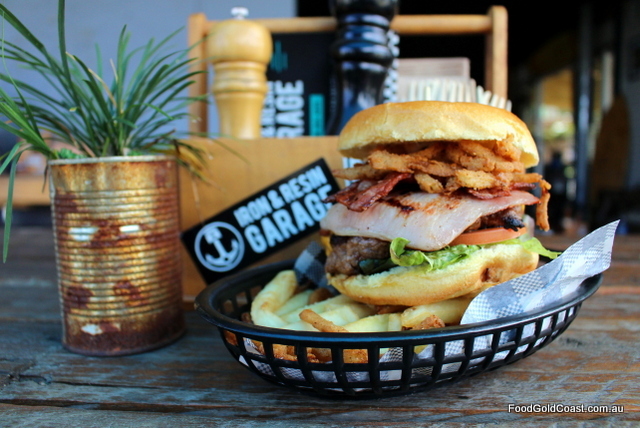 Tradies’ lunches were never this good! 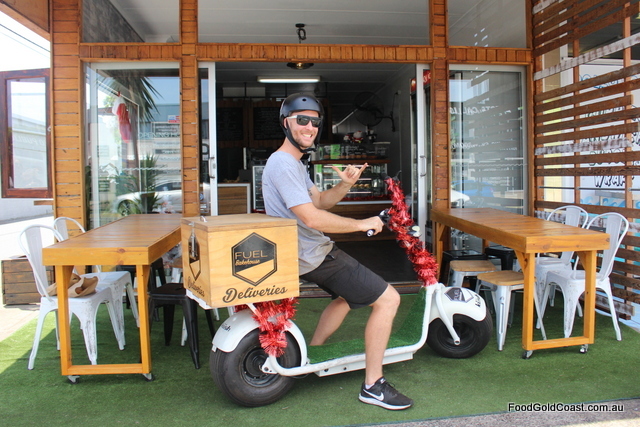 Selling wholesale from Southport to Murwillumbah, the bakehouse also delivers Social Espresso coffee and breakfast around the valley. 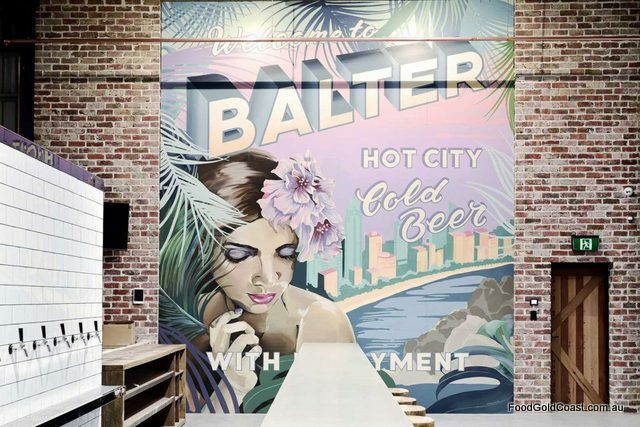 Hidden away in the back section of Traders Lane, Balter Brewing, founded by four surfing legends and their mates, is a huge but slick brewery that’s well worth a visit. With award-winning brewer Scotty Hargrave overseeing production, the beer goes down easily. Try the XPA, a tropical brew that has Queensland written all over it – floral aromas, a balanced palate, with barely a hint of bitterness. Talking drinks, Sol Cleanse Organic Cold Pressed Juice and Tonic Juice Co. also have their homes in the valley’s industrial estate. 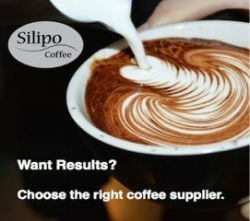 Check their websites for stockists. Dust Temple is an iconic valley institution, recently given new life with a refurb. From art gallery to gathering space, poetry slam to exhibition hall, Dust Temple’s Fl Oz espresso bar is always open. 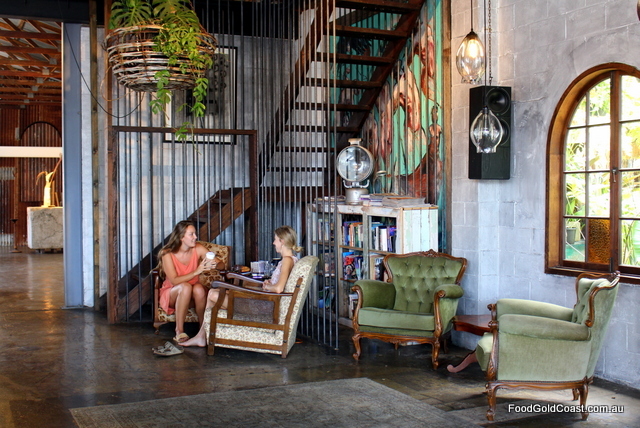 Serving great Fonzie Abbott coffee, avo plates, filled croissants and cakes, Dust Temple is one of the coolest places to hang out on the coast. 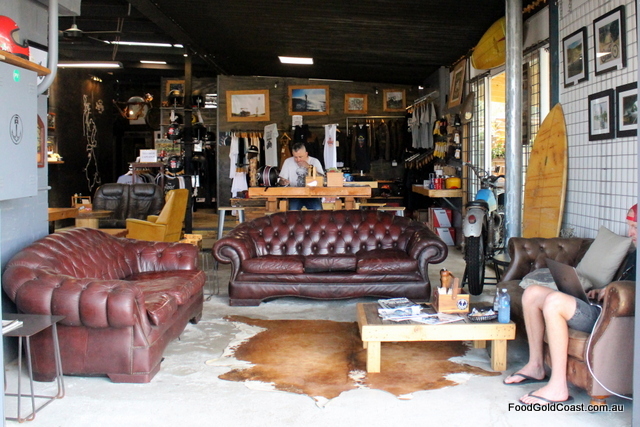 Iron & Resin Garage’s owner, Luke Young, may have conceptualized a clothing shop with coffee in front of the bike garage, but the venue has taken on a life of its own. The garage is still out back, but the girls are out the front, as well as bikes and families. In a venue with great casual appeal, there’s live music on the first Saturday of the month and family sessions on Sundays. Everyone feels welcome. Meanwhile, the new kitchen serves up all day burgers, the Tomewin Beef Burger (named after the crew’s favourite riding route) the mother of all burgers, being the most popular meal. Some distance further down Currumbin Creek Road, we come to the EcoVillage, an amazingly diverse ecologically-built housing community. The organic co-op, Ground Grocer, operates every Saturday in the big shed. 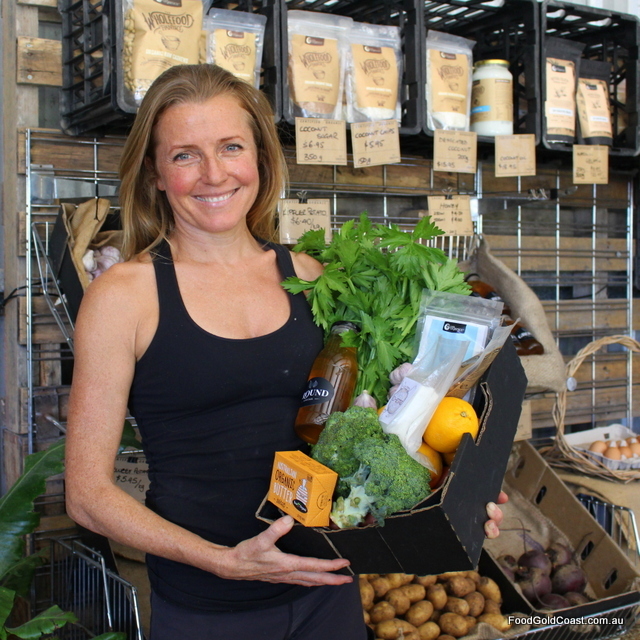 Partnering with Food Connect, Ground Grocer sources produce from carefully chosen sustainable organic farms between North NSW and Currumbin Valley and Tweed. 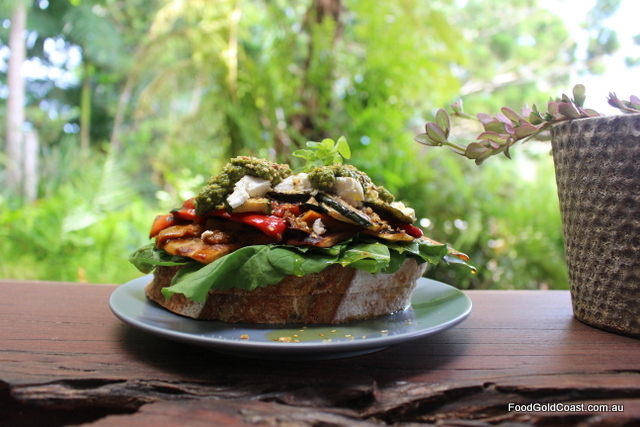 Of particular interest are local deli items from Local Fusion Foods in the Eco Village, dried foods from Nutra Organics in Currumbin Creek Road, and trays of baked goods from Burleigh Baker. The newly established Pasture & Co sits alongside Ground Grocer, facing the entrance to the village on the newly-named precinct, Ground. Newly-renovated, the café is a breath of fresh air in its décor and food. Reusing as much existing shelving as possible, owner Dani Riley has painted the walls white, adding a reclaimed brick-fronted servery. The menu is also earthy and real. A modern menu, it uses organic and spray-free produce, emphasizing the flavours of food, out of the ground onto the plate. Golden Bean-winning Nats Coffee from Alstonville is the café’s coffee of choice, an organic blend of local and imported beans. What remains the same is the view across lawn to the ‘Highlands’ and pine forests of Mt Tomewin. 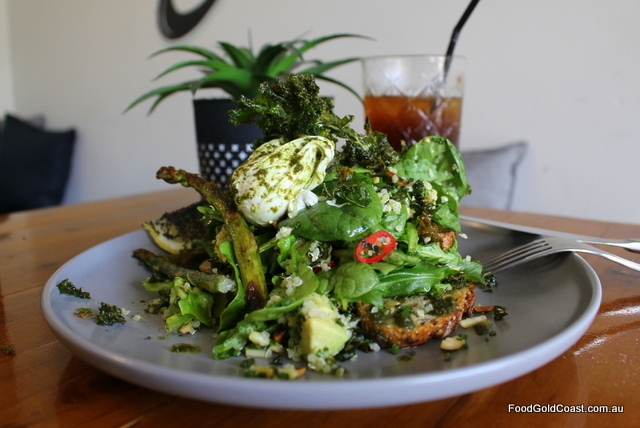 Currumbin Valley offers a very different view of the Gold Coast’s food scene to the one you’ll find in more urban precincts; a food trail which is well worth exploring. Nobee’s Viennoiserie Lab, 42 Currumbin Creek Rd. 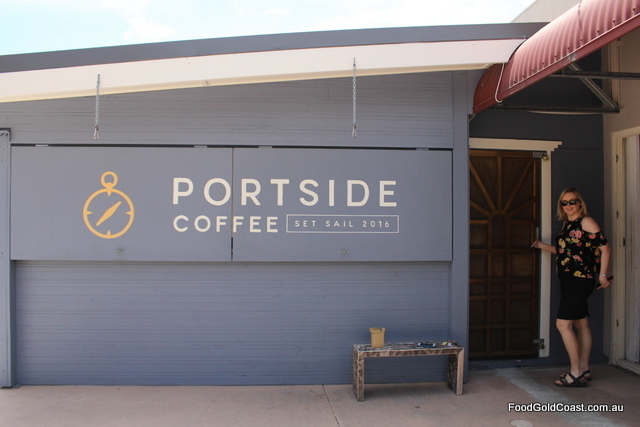 Portside Coffee, 42 Currumbin Creek Rd.